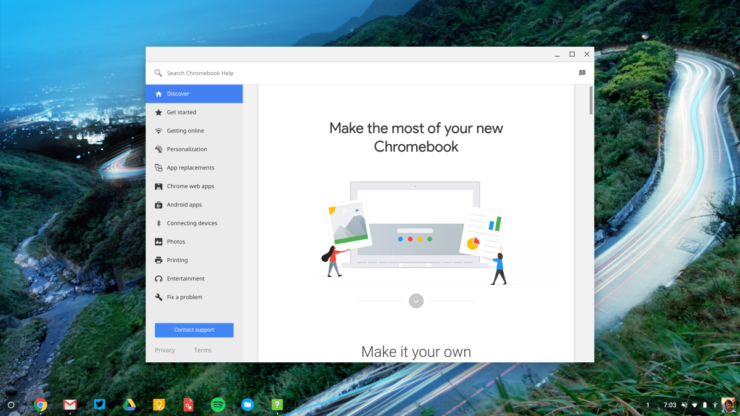 After releasing the Chrome 61 for browsers and Android OS, it is now Chrome OS’s turn to get the taste of the new version. 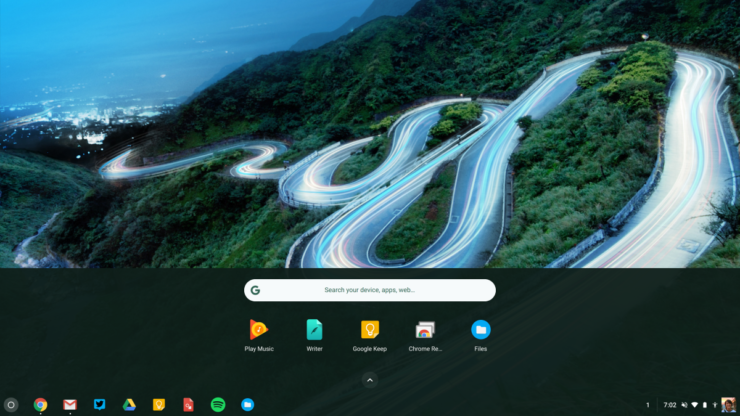 A major update brings Chrome 61 on Chrome OS with a revamped Lock Screen, Pixel-like App Launcher, and improved window management for tablets. There are also tiny changes for Settings menu. 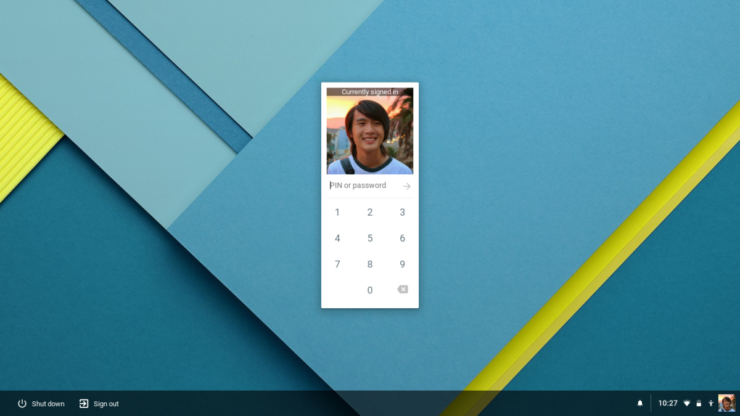 Users on Chrome OS who update to Chrome OS 61, will first notice a new “Sign-in” and design for Lock Screen. 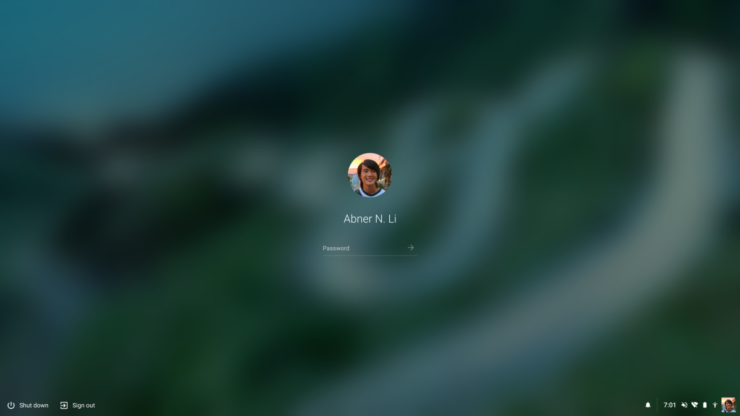 The update also added the much-needed blur for the background wallpaper. Also, the shape of user’s profile icon is now circular, and the name and password field has shed the box, it will just appear underneath the profile. 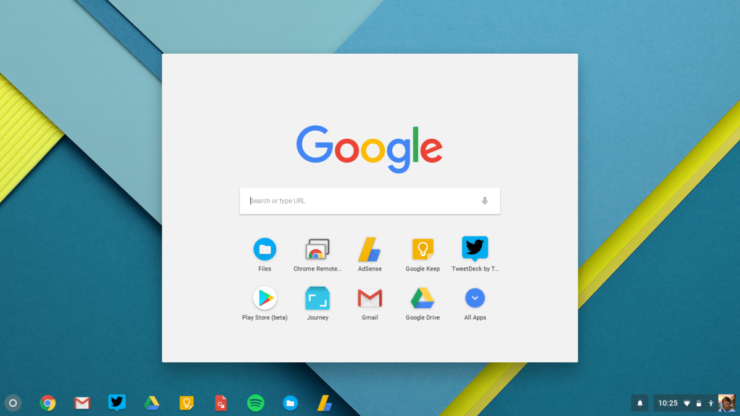 As you sign-in, you will also see that the box motif has been removed from the App launcher along with the Google Search box that is replaced by a Pixel-like launcher that swipes up. The first tap only reveals five apps and search bar, as you can see in the screenshots. As we mentioned earlier, the update brings better window management for touchscreen Chromebooks. Besides, there are a variety of other changes such as small changes in the Settings app. 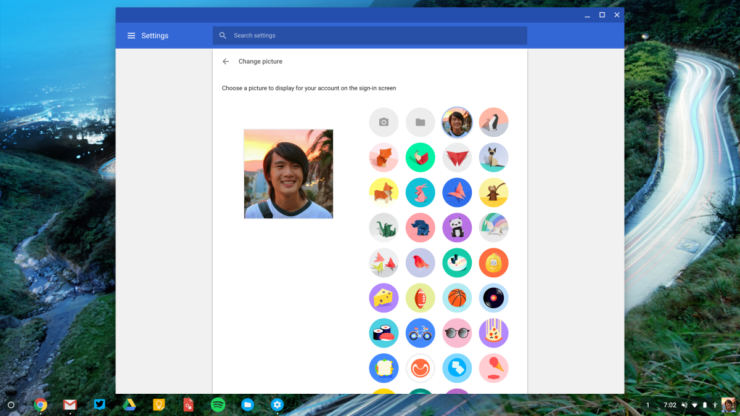 The profile avatar editor has been revamped with new icons that are rounded and abstract. The “Devices” section in the Settings menu has a new “Power” menu that shows options for how the device should perform when on standby. 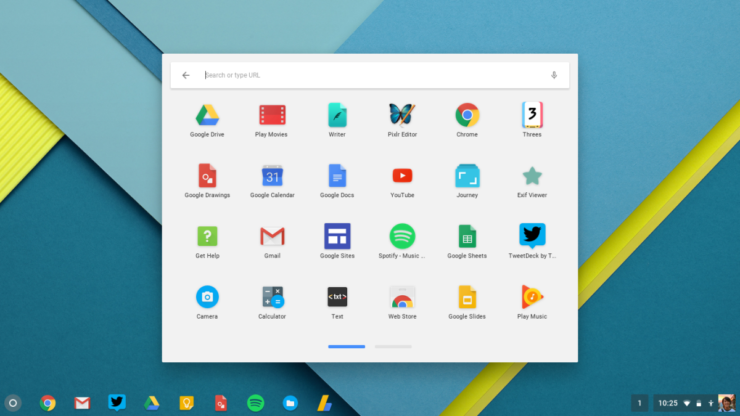 It also shows option whether Chromebook should sleep when the lid is closed. 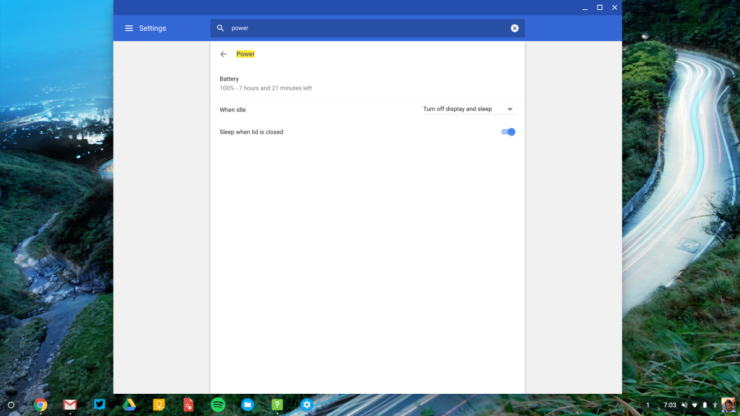 It’s worth noting that Chrome OS 61 removes the “Ok Google” to trigger the voice search. 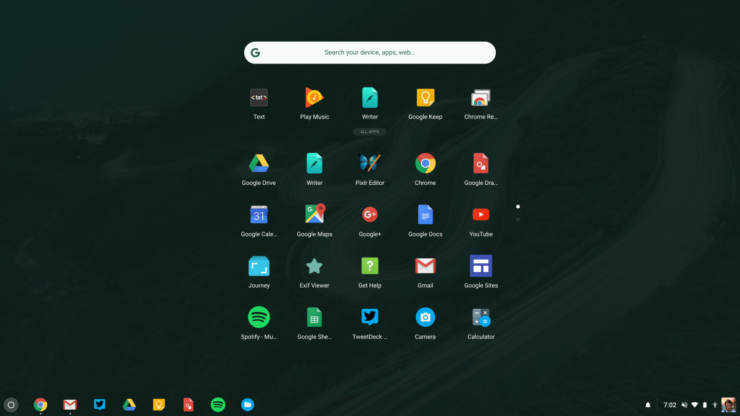 The option will most likely make a comeback when Chromebooks finally get Google Assistant.